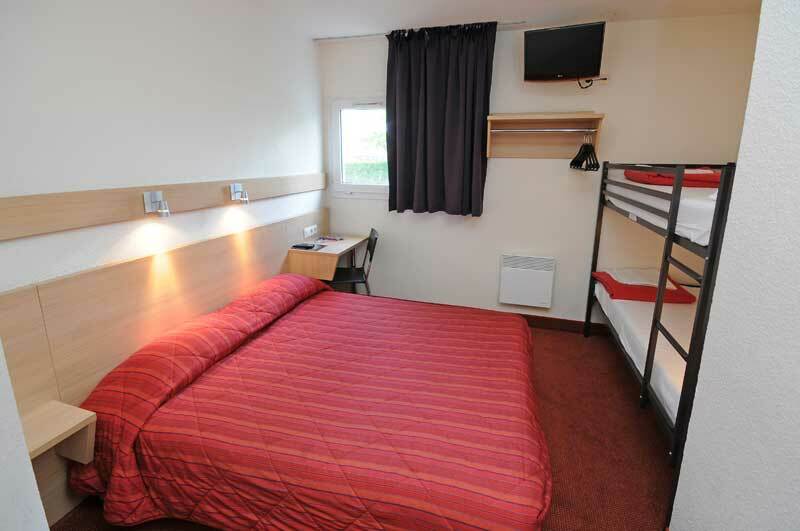 Hotel with 57 rooms; each room is equipped with a television, desk and WiFi internet connection as well as an ensuite bathroom which includes shower, washbasin and WC. 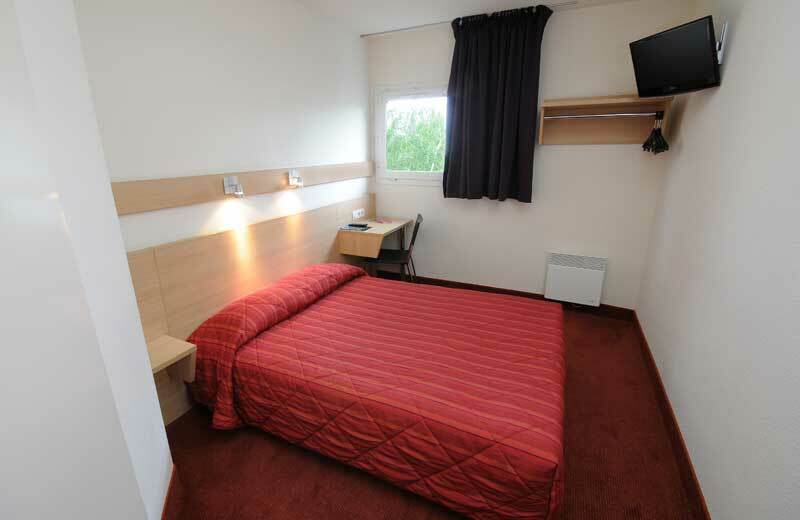 Double, twin and triple and rooms are available. Parking available and pets welcome (€2 per night). 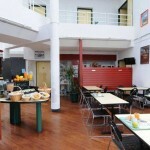 Breakfast is served from 6.30 a.m. to 10.a.m on weekdays and from 7.30a.m.to 10.30 a.m. at weekends and holidays. Reception is open from 6.30 a.m. to 9 p.m. during the week and from 7.30 a.m. to 9 p.m.at weekends. Automated access is available outside reception opening hours. 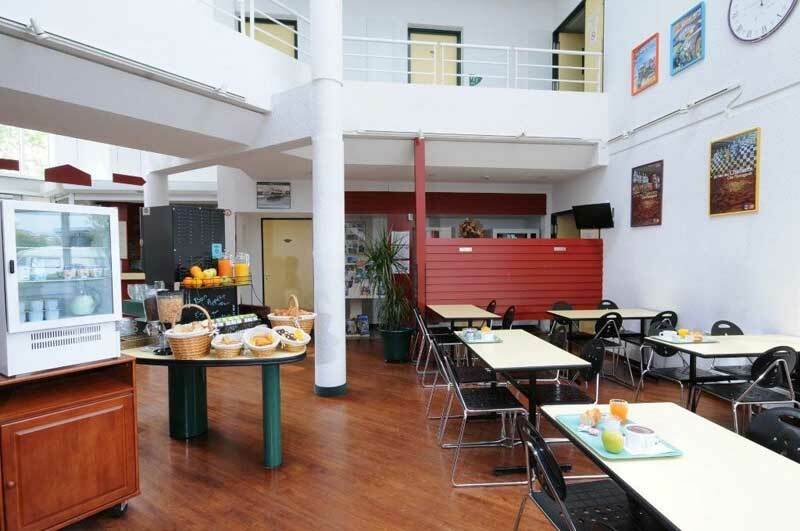 As the hotel does not have a restaurant, we are pleased to offer you a choice of restaurants within easy walking distance of the hotel as well as a self-service drinks machine and a microwave on the premises. Located in the heart of the Touraine, we invite you to discover the charms of the region: the Loire Valley, a UNESCO World Heritage Site, the Anjou Touraine Regional Natural Park and the vineyards of Chinon and Vouvray. Enjoy our rich cultural heritage and visit our world-famous châteaux Amboise, Chenonceau, Azay-le-Rideau, Chambord), caves, the château and gardens of Villandry and the prehistoric site of Grand Pressigny.